Perfect for people who want to revitalize and purify their bodies after a period of excess. We offer different cleanses to choose, based on your taste and goals! 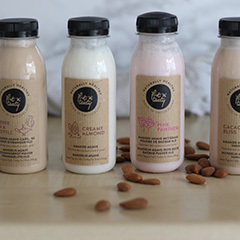 A box of freshly pressed juices to drink whenever you want: A box of 6 juices or almond milks selected by Fit ‘n’ Tasty according to your goals for a healthier lifestyle! Choose your mix of juices and milks according to YOUR taste and dreams. Each member of the Fit ‘n’ Tasty crew has a preferred juice, which one will be yours? Discover those foods that are much naturally richer in vitamins, minerals and nutrients, but also much poorer in calories. They nourish your body on a very deep level. 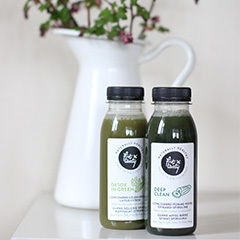 You won’t find anything healthier than fresh fruit & vegetable juices selected with a sustainable goal and naturally rich in vitamins & nutrients! This magical technique allows us to produce incredibly fresh juice without damaging the vitamins or nutrients, and guarantees a longer shelf life without pasteurization! So! What color will your day be? Perfect for people who want to take a break from their habits to revitalise their bodies after a period of excess. We offer different cleanses to choose, based on your taste and goals! 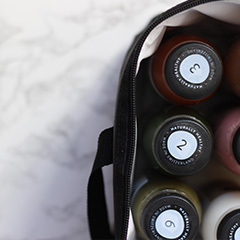 A box of freshly pressed juices to drink whenever you want: A box of 6 juices or almond mylks selected by Fit ‘n’ Tasty according to your goals for a healthier lifestyle! Choose your mix of juices and mylks according to YOUR taste and dreams. 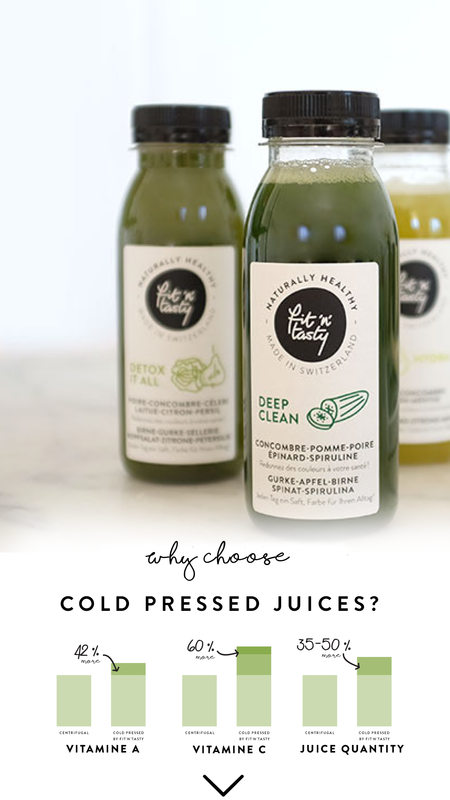 Each member of the Fit ‘n’ Tasty crew has a preferred juice, which one will be yours? 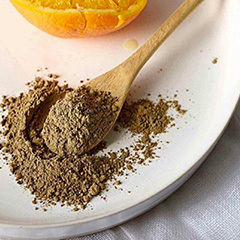 Discover these superfoods, naturally rich in vitamins, minerals and nutrients, but also low in calories. They nourish your body on a very deep level.